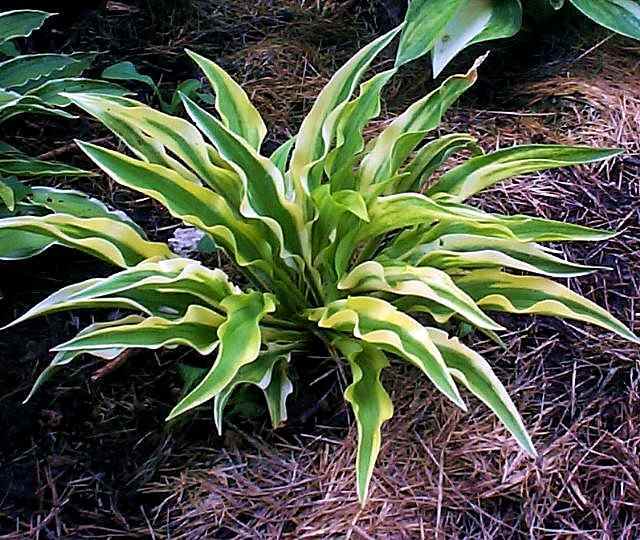 'Alakazaam' is a flashy miniature hosta with long narrow green leaves and bright yellow ruffled margins in spring. The margin brighten to creamy white in the summer. The stiff, horizontally held petioles give the hosta a very horizontal form.